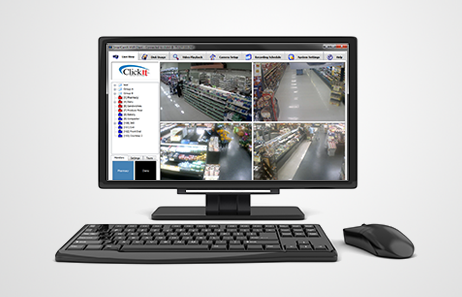 SmartCamXi recorders combine reliable high performance hardware with the SmartCamXi video software. The SmartCamXi line of network video recorders capture high-quality video images from analog, IP and megapixel cameras. Record video data using SmartCamXi technology. Data is flowing from a variety of sources. Collect video via the ClickIt CMS cloud. Pair this video with operational data from other systems such as POS, exception based reporting, HR data, weather and more. 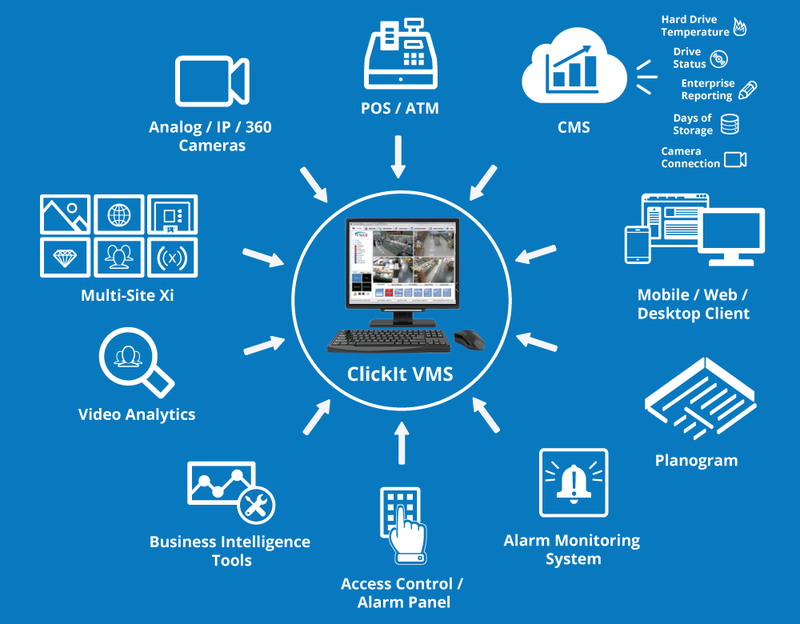 Access the data using ClickIt analytic tools. Transforms data and information into meaningful results; empowering you and your organization with insights that matter. With a team of knowledgeable sales and technical support representatives ClickIt Inc. can help design a video solution that fits your needs.